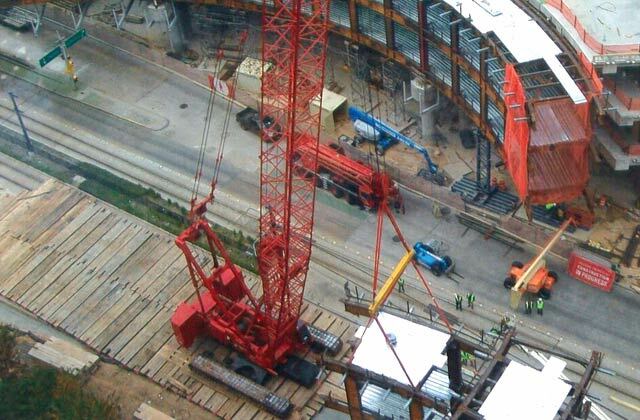 Ground stabilization is critical when working with cranes. If the ground is unlevel, or is soft, there’s a possibility the crane may become unstable and tip over. Since 1974, Quality Mat Company has been manufacturing the highest grade crane mats available and providing a level, solid, and steady base for crane operation. Also known as timber mats or heavy equipment mats, our crane mats are designed to provide ground stabilization under the weight of huge construction sites or even layered under oil rig cranes. They’ve been used in a number of construction projects, such as the Valero Refinery project, the expansion of the Texas Children’s Hospital, ground cover for a wind farm in South Texas, and many more. No matter what your need, Quality Mat Company can provide you with custom crane mats, used crane mats, or standard crane mats you need to complete the job. Call us at 1-800-227-8159 to discuss your project and get a custom quote. Quality Mats 40-plus years of experience is invaluable in terms of site understanding and applying the correct matting product for the specific task or project scope. Our abundance inventory and varied matting product offerings affords operators a “one stop shop” along with industry expertise to provide a safe and cost effective solution for your project. We use the finest, premium oak timbers to build our assortment of crane mats, ensuring they meet strict engineering requirements and are recoverable for reuse. They are dense and compression-resistant to withstand the harshest conditions and heaviest equipment. 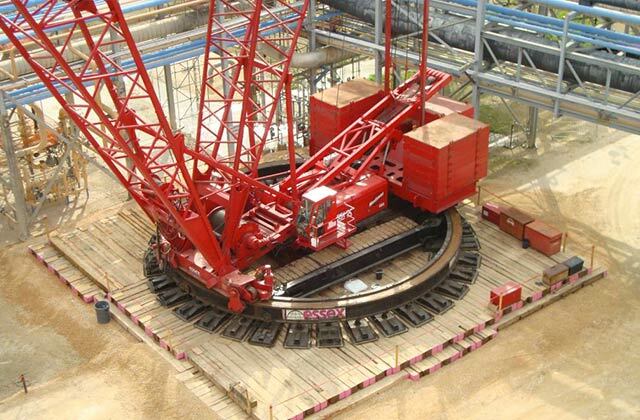 Our timber crane mats can be used for many applications including stabilizing large cranes during heavy lifts. The pipeline industry also uses crane mats for ground stabilization while digging and laying pipe. Crane mats come in various lengths up to 40 feet long. The following sizes are always in stock. Contact us for custom crane mat orders. Every crane mat provides a stable work surface even in the harshest conditions, thanks to a compression resistant, dense mat design. Our crane mats allow for safe working conditions over all types of terrain, including marshes, areas with underground utilities and remote areas. 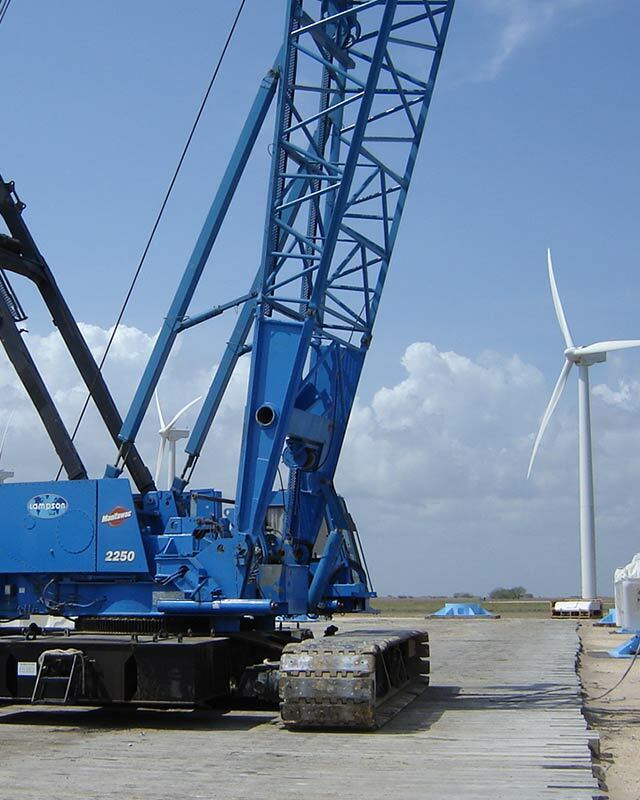 When you require cranes that can bear a heavy load, your mats should be up to the task of both supporting the crane and the additional carry load. Our crane matting is made from premium oak timbers and they’re able to take on incredible weight and be reused countless times. Our crane mats are environmentally friendly so whatever area you’re working in, know that our mats will help protect the ground underneath, and allow for a fast environmental recovery. And, when you use our mats, you don’t have to worry about recovery, as we use untreated timber for all crane mats. Every job is unique, which is why we offer multiple lifting options for custom crane mat orders. Choose the design for your needs, whether exposed bolts, cables or chains, to maintain a safe and productive work environment. Your vehicles shouldn’t slip on our mats – and our mats shouldn’t slip when being placed. Each crane mat is constructed with steel rods on 4-foot centers. They are impact-wrench tightened, countersunk, cut off and bradded to ensure that nuts are retained for the life of the mat. No matter the type of work you’re doing, you’ll find the perfect crane mats for every job. To order supplies or discuss a build, email us at info@qmat.com, or call us at 1-800-227-8159. Designed using quality hardwoods and premium oak timbers, crane mats from Quality Mat are made to last. Every crane mat we produce meets our high quality standards, and is dense compression resistant to endure the weight from extremely heavy equipment and severe conditions. Because of this, these high quality crane mats are able to be recovered and reused multiple times. Our mats are used to provide ground stabilization during the construction of pipelines and bridges, for work in the petrochemical industry, and during disaster and environmental cleanups. 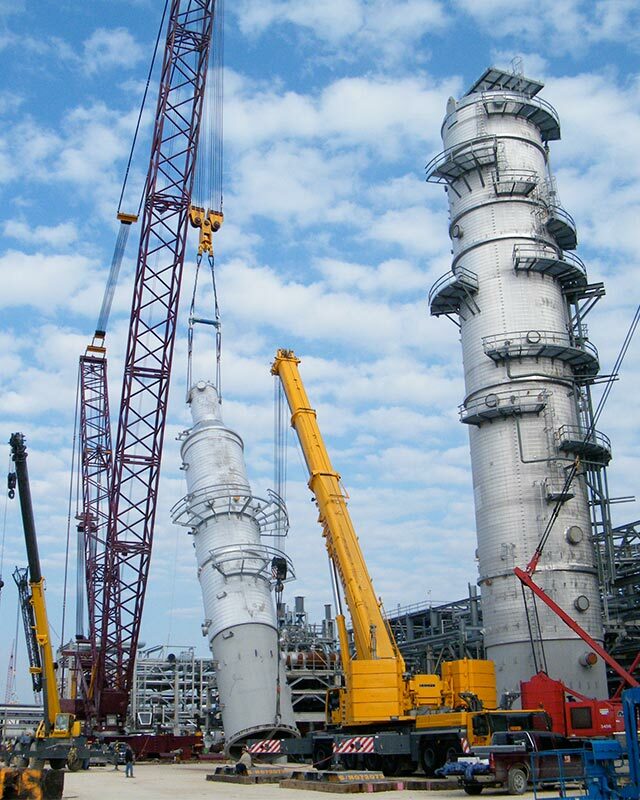 Currently, our crane mats are being used in the construction of the initial phase of the Keystone pipeline. This pipeline transports crude oil from Hardisty, Alberta to numerous U.S. locations, including Illinois, North Dakota, South Dakota, Nebraska, and Missouri. 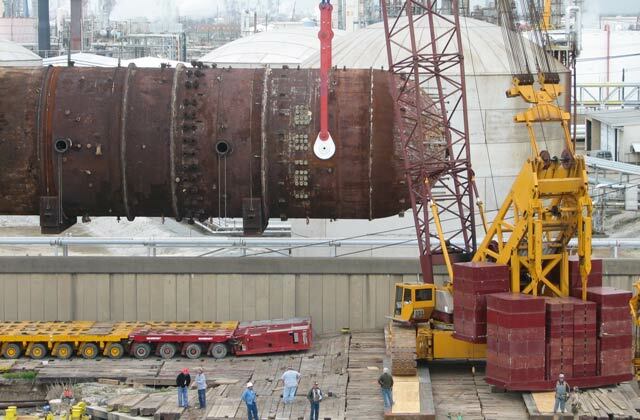 Our crane mats were used for the work connecting the main pipelines in 2012. TransCanada is using these boring mats to ensure the Keystone Pipeline has minimal impact on the environment in the areas where they’re working. We also provide crane mat rentals as well, giving you the option to use these ground protection mats for a few days, weeks or months. Whatever your needs, Quality Mat Company can provide you with everything from the highest quality new crane mats to the most affordable used crane mats. Fill out our online form or call us at 1-800-227-8159 to discuss your project and get a custom quote.